Its Christmas and Puro Prestige want to share some seasonal cheer with you, our friends at Boisdale. We are delighted to be official cosponsors of the Boisdale Cigar Smoker of the Year Awards 2017 and had a wonderful evening celebrating with cigar fans, producers, writers and smokers at the awards evening at Boisdale of Canary Wharf on Sunday 3rd December. In the spirit of Christmas, and feeling the Puro Prestige love, we want to share an exclusive offer with you, our friends at Boisdale. 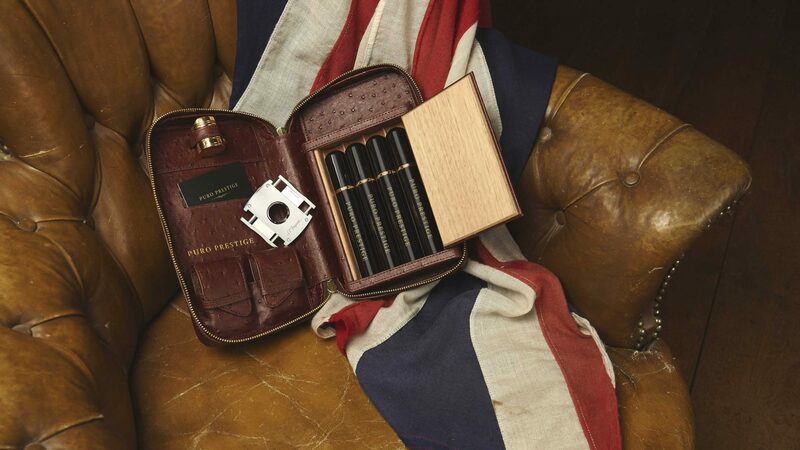 You can now purchase a Puro Prestige cigar travel case, designed for the passionate traveller and cigar smoker, for a special price of £225 – 20% off the usual RRP of £275.00. A perfect gift to self, a loved one or friend! Orders received up to 21st December in the UK will be delivered before Christmas. to get 20% off our travel cigar cases. The discount code will only be applied after you have added one of our cigar cases to your basket. 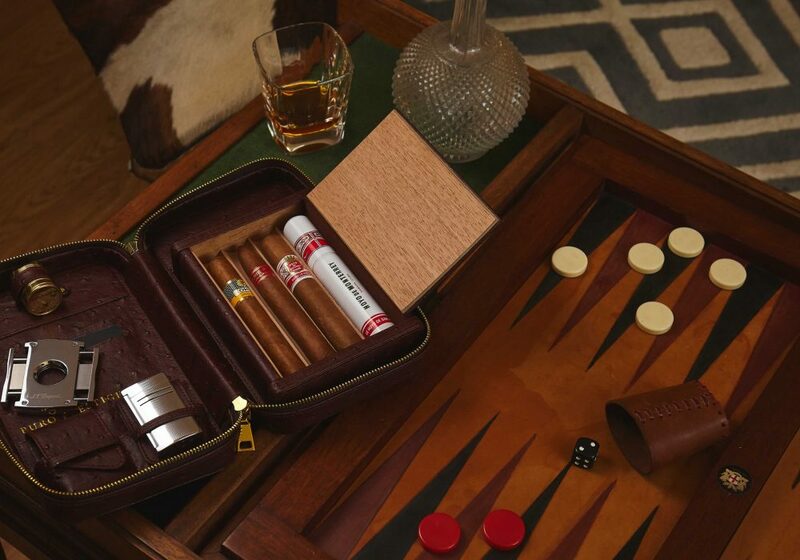 The Puro Cigar Travel Case is the pinnacle of style, class and pragmatism. Understated yet sophisticated, practical yet stylish, it is a truly British artisan product. It can hold four cigars up to ring gauge 60 and up to six and a half inches in length, or 4 Siglo VI size tubes. 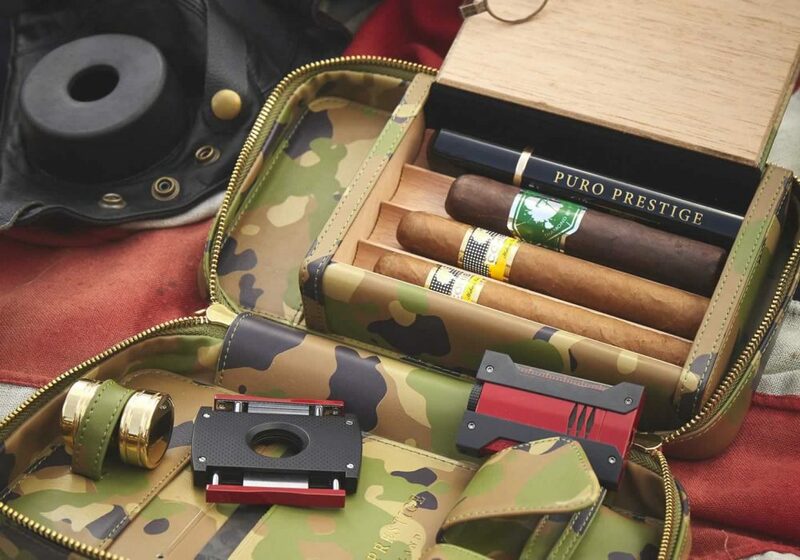 This version of the Puro Cigar Travel Case comes finished in green camouflage. It too can hold four cigars up to ring gauge 60 and up to six and a half inches in length, or 4 Siglo VI size tubes.